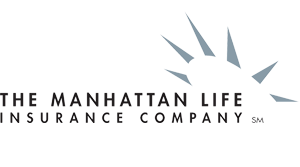 Senior Benefit Services, Inc. Manhattan Life Rate Increase in Missouri - Senior Benefit Services, Inc.
A rate adjustment for Missouri has been approved. There is a 13% rate increase for Plans A, C, D, F & M and an 8% rate increase for Plan N. There is no rate increase for Plan B. Click here to view / print the new rates. The rates are effective for any new business with a signature date of May 1, 2019 or later requesting an effective date of May 1, 2019 or later. All Medicare Supplement applications signed before May 1, 2019 will receive the current 6-1-17 rates. Any Medicare Supplement application signed on or after May 1, 2019, requesting an effective date of May 1, 2019, or later , will receive the new 5-1-19 rates. To order or download / print new business supplies with the new rates, simply log in to the https://my.aimc.net agent portal.